The City of Lubbock was the final jurisdiction to approve the re-naming of Lubbock's Outer Route. Thursday evening, the Lubbock City Council unanimously approved the renaming of the Outer Route to Texas Loop 88, following in the footsteps of Lubbock County and the City of Wolfforth. Loop 88 will be built as a limited access highway, with access roads, from US 84 near Slaton in southeast Lubbock County; traveling west along 146th Street, veering north to FM 1585 at US 87, while continuing to travel west to US 62/82, then north to Research Boulevard and finally east to connect to US 84 at FM 2641/Bluefield Street in northwest Lubbock County. Steve Warren, Lubbock District Engineer for the Texas Department of Transportation, says construction on segments of Loop 88 could being in 2020. He also estimated that the cost to purchase right-of-way (ROW) for Segment 3 would be between $8.5-$10 million for the City of Lubbock. Segment 3 runs along FM 1585/130th Street from US 87, west to US 62/82 southwest of Wolfforth. 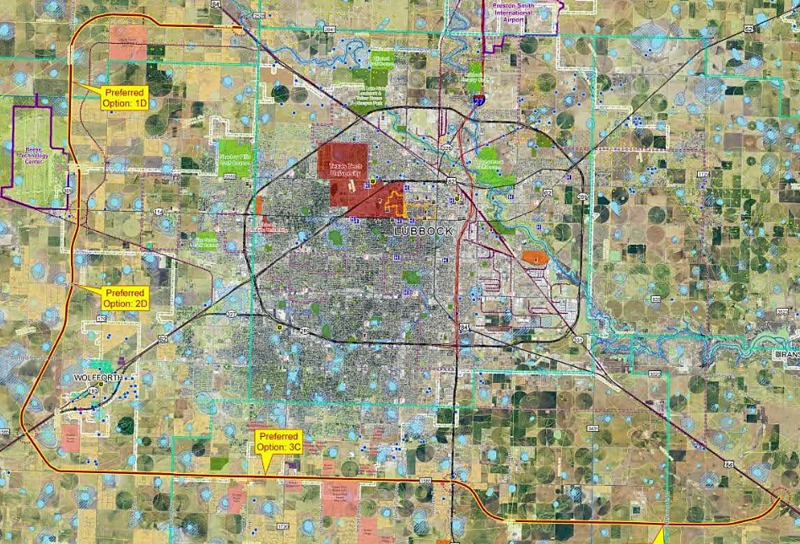 Lubbock County and the City of Wolfforth would be responsible for purchasing ROW for Loop 88 segments in their jurisdictions.